One of the best parts of cutting out pay TV is getting rid of the clunky, costly set-top box. Instead of paying stiff monthly fees for that living-room eyesore, you can swap in a streaming media player for glorious living-room minimalism. But depending on your needs, doing it all with a single device can be tricky. In addition to streaming video sources such as Netflix, I’ve always used an antenna for free, over-the-air broadcasts; I’ve also wanted to bring my PC-gaming collection into the living room, but preferably without involving more bulky, expensive hardware. That’s why the Nvidia Shield Android TV seemed like the perfect answer. The $200 set-top box is only a little bigger than an Apple TV or a Roku, but it can stream PC games from the desktop computer in my office. 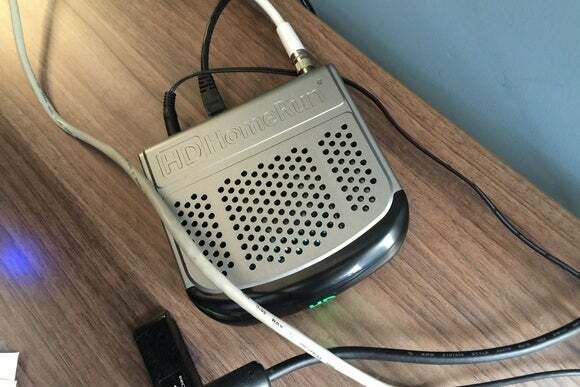 The Android-TV platform also supports SiliconDust’s HDHomeRun Extend tuner ($120), which connects to a Wi-Fi router and streams live over-the-air channels from an antenna to the television. 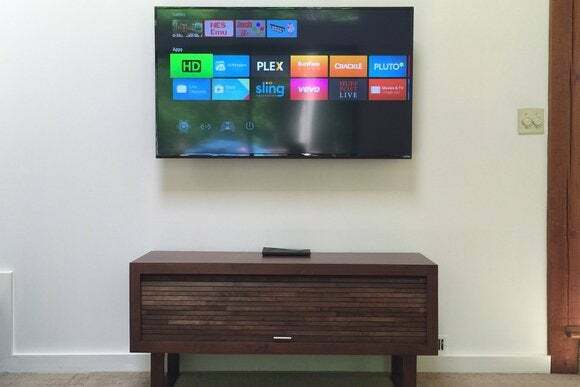 By tucking some of the hardware away in another room, these two devices promise a minimalist media center through streaming. It’s a sight to behold (see above), but this simplicity comes at a cost. I won't dive too deeply into the Shield Android TV here. You can check out my hands-on impressions from last week for more details, but setting it up basically involves plugging it into a wall and connecting the included HDMI cable up to a television. Aside from its gaming capabilities, it’s similar to other Android-TV devices, with a decent app selection and support for casting videos from a phone or tablet. 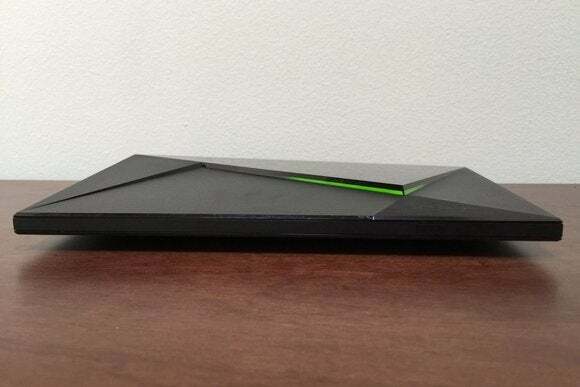 The Nvidia Shield Android TV is larger than a typical media streamer, but it's much smaller than a dedicated game console. HDHomeRun’s setup is more complicated. First, you plug the HDHomeRun tuner into your Wi-Fi router. Then you plug an antenna into the tuner—ideally, this whole setup is near a window where you get a strong over-the-air signal—and connect the tuner’s power adapter to an outlet. Once everything’s connected, you must use a PC or a Mac to download the latest HDHomeRun firmware, and then install the HDHomeRun View app on Android TV. You can also watch the live-TV feed on Android phones or tablets, and various third-party apps are available for viewing on other platforms. The key to a minimalist setup is stashing the hardware somewhere out of sight. HDHomeRun isn’t a new product, and its viewer app arrived on Google’s Android TV platform last year. 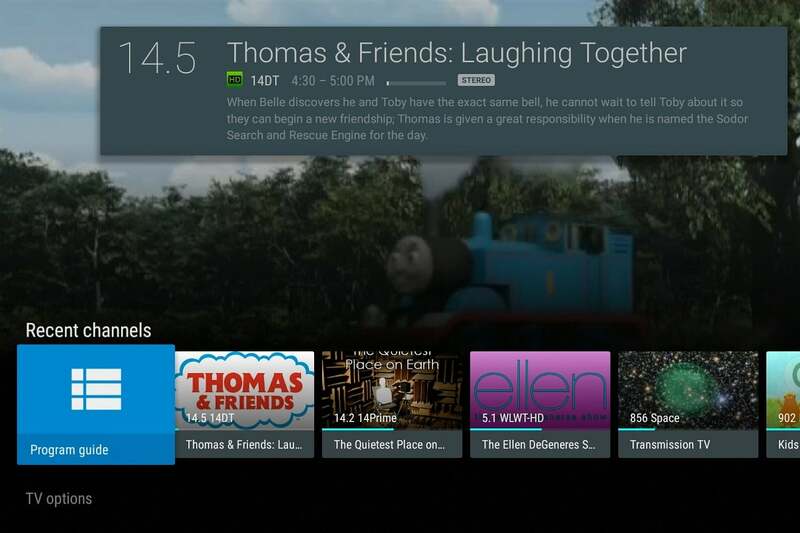 But it’s worth a fresh look now that Google is putting more effort into Android TV’s Live Channels feature. 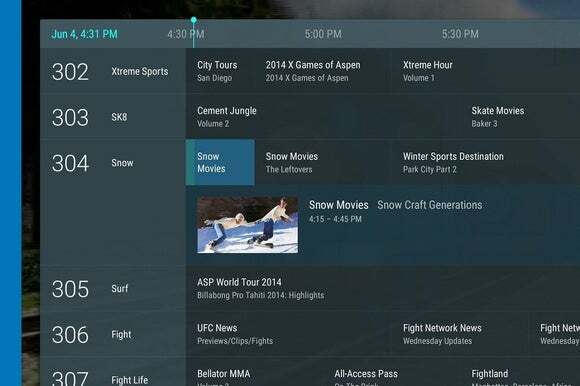 Android TV’s Live Channels app offers a single programming guide with broadcast channels and streaming sources. Live Channels is like the programming guide you’d find on a cable box, but with broadcast channels and Internet video mashed together. Once you’ve installed some apps that work with Live Channels—such a HDHomeRun’s viewer—they’ll automatically show up as options in the master programming guide. From a single menu, you can hop from NBC to PBS to the 24-7 cat video channel on Pluto.TV. And if you’re not a cat person, you can customize which channels show up in the guide. So far, HDHomeRun and Pluto.TV are the only sources that support Live Channels. But Google said last week that it will be adding several more sources soon, including Huffington Post Live, Bloomberg TV, AOL, and Vevo. The app also includes quick links to recent channels, and a way to customize which channels appear. Granted, some people ditch cable TV to get away from this sort of viewing experience, preferring instead to watch everything on demand. But when you don’t particularly care what’s on, or want to watch something on broadcast TV without delay, Live Channels is pretty useful. Or at least, it should be. The problem with streaming games and video to your television from elsewhere in the house is that it introduces more points of failure. Over the last few days, I’ve learned this the hard way while trying to iron out the HDHomeRun’s video issues. In the Live Channels app, HDHomeRun’s feed is not nearly as smooth as an antenna plugged directly into the television. And while HDHomeRun’s viewer app has options to enable sharper, smoother video, this introduced an audio sync issue that was especially pronounced on certain high-definition channels. The tuner also failed to show video at all in some cases, requiring me to reload the channel or restart the app. I estimate that I’ve spent at least six hours trying to solve this problem. I’ve gone back and forth between the Shield Android TV and Google’s Nexus Player to see if they have the same problems (they do), swapped between Wi-Fi and power-line Ethernet connections for the set-top boxes, and even tried connecting a different wireless router to the HDHomeRun (no luck). I’ve exchanged dozens of emails with the PR folks at Nvidia and SiliconDust, who, despite their best efforts, haven’t been able to nail down a solution. I even got to test an unreleased version of HDHomeRun’s app with MPEG-2 support, which supposedly will allow smoother playback. It didn’t erase the lag in the audio. This leaves me in a tough position. I like the way my living room looks now; and functionally, it’s as close as I’ve come to the dream of combining all entertainment on a single TV input. With Live Channels, some of that entertainment is even consolidated into a single app. I’m just not sure if it’s all worth the trade-off.